Teen heartthrob Justin Bieber has said Will Smith has become like a father figure to him. The U Smile singer, whose new film Never Say Never premiered in Los Angeles last night, says he looks up to the star and his family - wife Jada Pinkett Smith and kids Jaden and Willow. Aishwarya refused to dance with Shahrukh? Bollywood actress Aishwarya Rai Bachchan is in the news again for all the wrong reasons. Now, the grapevine is abuzz with the news that she refused to dance with Shahrukh Khan at an award function. It is reported that Shahrukh wanted to move to the tunes of the song “Kajra Re” with Aishwarya but the plan was scrapped after the actress turned down the offer. “Shahrukh had planned a gig around Bollywood heroines over the years and he wanted it to conclude with Aishwarya's performance,” Mumbai Mirror quoted a source as saying. “He had planned to dance with her to “Kajra Re”. But Ash refused. Her argument was that Kajre re was a family song and that she performed the number in Bunty aur Babli only with her father-in-law Amitabh Bachchan and husband Abhishek and that she will not dance to that song with anyone else. No amount of persuasion from the organisers helped her change her mind. Finally, Shahrukh had to scrap this plan,” it added. Well, we are yet to hear from Shahrukh and Aishwarya! Secretively and unknown to the media world, Percept Ltd has launched a new global concept in entertainment. Called 'Champions Of World', the concept will bring together under one roof, the most celebrated super-icons of sports, cinema, music, business and other fields of entertainment and entrepreneurship. Percept has chosen to kick off the iconic series with cricket. On Wednesday, February 2, six of cricket's most iconized captains from the world over would be coming together for a live interaction with fans everywhere. The six international cricket captains, who are flying into Mumbai on Wednesday from different parts of the world, are Clive Lloyd, Arjun Ranatunga, Steve Waugh, Alan Border, Imran Khan and our own Kapil Dev. The event will telecast and placed on the internet for fans across the world. It is reliably learnt that these cricket icons comprising the first in the 'Champions Of The World' series, would be participating in a special charity match to coincide with the World Cup. Likewise iconic 'Champions Of The World' from the global entertainment industry would be participating in a non-competitive jamboree to coincide with the film-awards season in 2012. The icons from the entertainment industry expected to come together later this year include Steven Spielberg, John Woo, Danny Boyle and Yash Chopra. Says a source close to the project, "Percept is already in advanced talks with the names you've mentioned and also Harvey Goldsmith, Bob Geldof, U2's Bono, Quentin Tarantino and Michael Douglas, who's a personal friend of Shailendra Singh. All these giants of the entertainment industry along with our own Shahrukh Khan and Amitabh Bachchan will come together on one platform to announce an entertainment event at the end of 2011 or beginning of 2012 ." Says Shailendra Singh, "The idea behind the 'Champions Of The World' events is to bring together the most celebrated names in genre-specific bunches to India under one roof. We kick-start with cricket's six most iconized captains this week at a suburban hotel in Mumbai. We would be putting them together in an event that would go beyond what the IPL has to offer. As for the giants from the entertainment business we are close to sealing deals with some of the biggest names in Hollywood and beyond. I cannot reveal their names at this time." 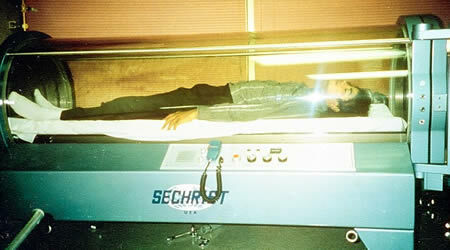 For beauty proposes and to live longer, Michael Jackson used to sleep in an oxygen tent. 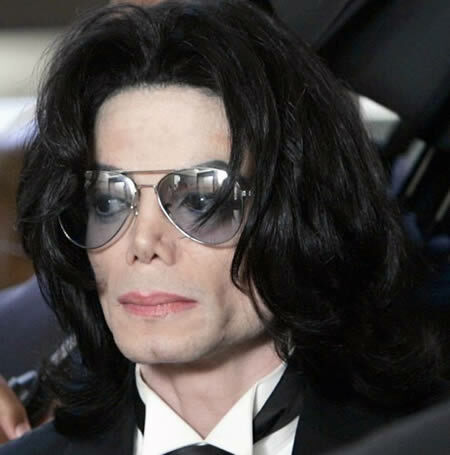 He later donated the bed to a Californian medical centre as a therapeutic aid for burns victims. In an interview with Oprah, Michael Jackson denied sleeping in this bed; according to him, he donated a million dollars to a foundation who bought the bed. He then saw that strange piece of technology, tried it on, somebody took a picture and that is how the rumor started. Thanks, Björn. Flickr user mandalariangirl took a photo of this ancient Egyptian female sculpture picture in the Field Museum in Chicago . 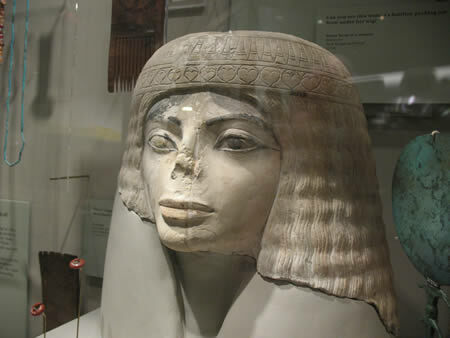 She speculates if Michael Jackson got some ideas for his plastic surgeries. 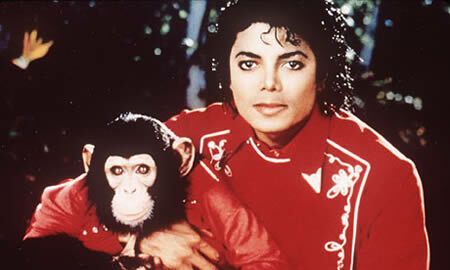 "Billie Jean" by Michael Jackson was the first video to air on MTV by a black artist (1983). Michael Jackson invented and patented special boots that allowed the wearer to lean so far forward that it seems to defy gravity. 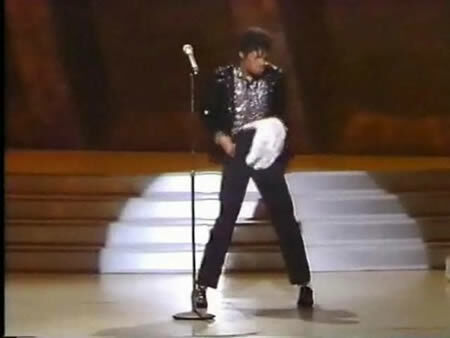 He used this for the famous "lean" in the "Smooth Criminal" music video. Shahrukh, Salman to patch-up at Imran's wedding? Seems like the new-year has started on a forgiving note. While many Bollywood stars have hugged and made-up, another rival pair, SRK-Salman is all set to face each other under one roof. Rumour has it that Aamir has invited all the Bollywood glitterati to his beloved bhanja's Imran Khan's wedding reception at Taj Land's End on February 5. From the family turned foe, Mukesh and Anil Ambani to rivals SRK and Salman, everyone is expected to attend the lavish event. A source revealed to Mumbai Mirror, "Aamir has always wanted Salman and Shah Rukh to patch up. If you recall, he spent the entire night shuttling between Mannat (SRK's residence) and Galaxy (Salman's residence) when their fight took place at Katrina Kaif's birthday party two years ago. This could be just the occasion he might go the extra mile and make them warm up to one another." On being asked whether the two will avoid each other the source said, "How can that be ascertained now? Of course, most people from the industry have been invited. Add this to Imran and Avantika's close family members and the guest list looks rather impressive," reports the tabloid. A natural effective cancer diet for people with cancer or for the prevention of cancer! What You Will Learn From The Cancer Prevention Diet! The "Better Health Today Manual" Has Been Prepared For All Those Ready To Learn! It Is Possible To Treat And Cure Yourself Effectively Without The Use Of Harmful Drugs? Learn The Secrets To Using All Natural And Proven Herbal Remedies That Produce Fewer Or Virtually No Side Effects!